A well maintained furnace will reduce the cost it takes to operate it. During maintenance, electrical connections are tightened, moving parts are lubricated, gas pressure is inspected, condenser and evaporator coils are checked, and blower components are checked and adjusted. 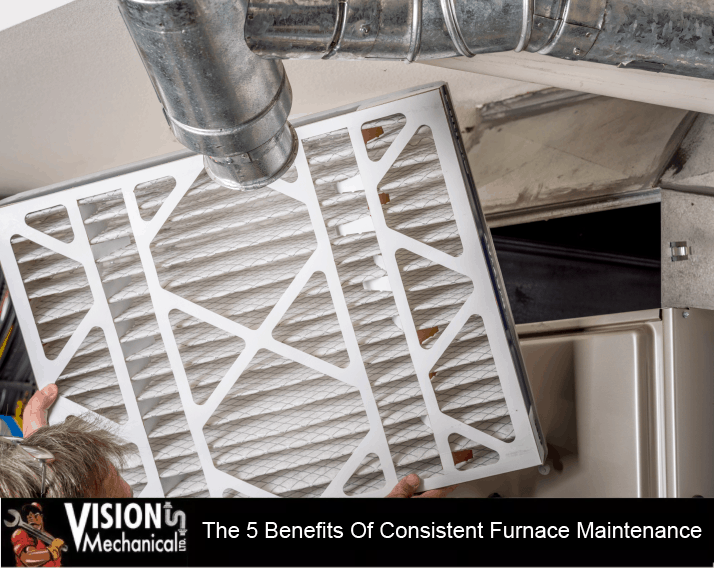 You will enhance the efficiency of your furnace, as well as decrease the cost of utility bills, by having regular maintenance performed on your furnace. The HVAC expert doing maintenance on your furnace will also make some minor repairs and tweaks along the way if anything is slightly damaged or looks as if it’s about to be. This way, you will save on component replacement costs. Your current equipment will run for many winters to come, instead of only the few it may have if you had chosen not to have the routine maintenance to your furnace. As we have just discussed, consistent maintenance will increase equipment life. However, that is not the only benefit in that category. Why? Because when the Kelowna HVAC maintenance expert is checking your equipment, they can see which parts are more likely to break down. They can apply the necessary countermeasure to ensure that doesn’t happen. The assessment, cleaning, and lubrication of the equipment, keeps things running smoothly, and removes the likelihood of the need for repairs. This one is pretty obvious, but we still need to talk about it. The safety of our home, and our loved ones living in it, is our number one priority. So by having consistent maintenance performed on your furnace, you’re providing that security. The maintenance procedure also includes cleaning and adjusting the ignition assembly, cleaning the burner assembly, examining the heat exchanger, inspecting safety controls, and cleaning or replacing air filters. These parts can break down and can cause major damage in the form of a fire or an explosion. Having consistent maintenance on your furnace allows you and your family to have peace of mind. Last, but certainly not least, when everything is clean, adjusted, and lubricated, your Kelowna furnace runs more efficiently, which in turn grants your furnace greater capacity. This is more economical, and even more importantly, it makes your home safer. That’s the best benefit you could ask for. If your furnace currently does not receive regular maintenance contact us today and let’s get started. You will not regret this cost saving, safety improving decision.